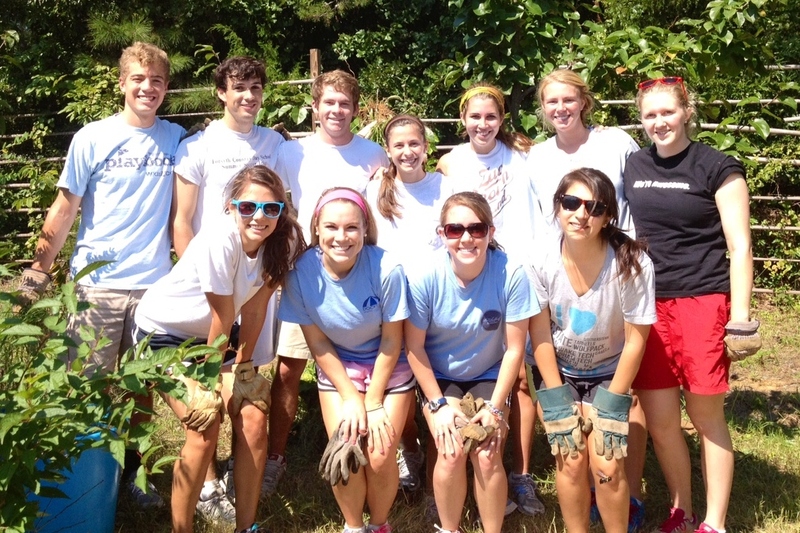 There was a great turnout at the Hope Gardens Service Day on Saturday, September 15. We gathered together with other volunteers and were delegated the task of “taking on the orchard.” We couldn’t have chose a more beautiful day to be outside and volunteer. After clearing out the orchard, we headed over to Merritt’s to hang out and have some lunch. We would love to have you join us for next month’s service day–keep a look out for details once October rolls around. As women in the Greek system, it is easy to become caught up in the fast-paced world that surrounds us. We sometimes find ourselves feeling insecure, inadequate, and stressed out as we try to balance God, challenging classes, and thriving social lives. However, when we focus on the Lord as our pillar of strength, we are able to find peace in all aspects of life combined with a sense of empowerment that can only be attained through Him. Join us as we explore God as our foundation, as well as how we are called to be ‘pillars of strength’ for our communities and our world. Jan. 27-29. Location TBD. Going Greek at UNC? Not sure what to expect? Not sure where you are going to find a community of support like you had in High School? Greek Life is here for you. We are a group of students trying to figure out how life in the Greek System and God intersect. Does God really have any relevance to life in college? We believe He does! We are all on a journey where none of us are perfect and none of us have it all figured out. Yet in the midst of college life, we believe that God wants to intersect our journeys. In fact, we believe that God wants our journeys….His, yours, ours to intersect in a beautiful, cataclysmic, life changing way! Greek Life, a ministry of Cornerstone (Campus Crusade for Christ) at UNC invites you to join us in the Greek System.